A Shipston teenager has been sentenced for assaulting a police officer while drunk and disorderly and riding a pit bike around the town. Johnathan Carter had already been convicted for the crimes in June at a previous court hearing in his absence resulting in a warrant for his arrest. The 19-year-old, of Donnington Road, was arrested and appeared at Leamington Magistrates’ Court yesterday (Wednesday, September 19). He was issued with 120 hours unpaid work to be completed within 12 months, fines and costs totalling £455 and a two year Criminal Behaviour Order. Following the sentencing, PC Craig Purcell from Shipston Safer Neighbourhood Team, said: “We are pleased with today’s result, which is the culmination of targeted patrols and evidence gathering over a number of weeks. “This Criminal Behaviour Order means that amongst other conditions, Carter will now be unable to enter certain parts of the town or consume alcohol in a public place. Carter was arrested for riding a non-road-legal pit bike at Shipston High School, leisure centre and skate park on June 19. Four days later, he was arrested for being drunk and disorderly on New Street, Shipston. In the process of being arrested, Carter injured a police officer by kicking them in the face. He was charged with all three offences, and later failed to attend at court on September 14, where he was convicted in his absence. 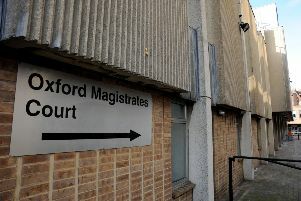 Carter’s Criminal Behaviour Order means he cannot enter Shipston Rugby Club, Shipston Sports and Social Club and grounds, Shipston Skate Park, Leisure Centre or High School grounds. As well as being unable to use of mechanically-propelled vehicle on common land or for off-road purposes; cause harassment, alarm or distress to any residents of Shipston; or consume or be under the influence of alcohol or drugs in a public place. Any breaches could lead to arrest and further prosecution. PC Purcell added: “We take all reports of criminal activity and anti social behaviour seriously. “Anti-social behaviour can cause misery and distress to those it affects.